If there’s one thing that’s always been difficult for me as a critic to do, it’s to make a top 10 list. I’ve always had trouble identifying my favorite films and ranking them in an order I could agree with. Over the past few days, you may have noticed how I kept updating my top 10 for 2012. Originally I had Amour in the number one position but then, after reconsidering the list, bumped The Master up to the top slot. I also feel very guilty about putting Zero Dark Thirty at the fourth slot since it’s a great film. This does not only apply to my 2012 list, but for my own top ten films of all time. I have never made one mostly because I can never list or rank my favorite films. I typically tell people my favorite movie is Apocalypse Now, but I couldn’t tell them what some of my other favorite films are (though I would usually choose a few Kubrick movies to go on the side). So I’d like to ask my readers what do you think about top ten lists? Do you have an official one or are you like me? They’re Fun, Though They Can Be Rather Time Consuming. Picking A Favorite Something Can Be Kinda Difficult At Times, And Picking 10 Favorites Is Even More Difficult Because It Feels Rather Daunting To Stop At 10 And Roll With It. I Used To Sit Around Trying To Make Them All The Time And What I Learned Is They’re Not Easy. Fun, But Not Easy. I enjoy making top 10 lists, but picking favorites is always difficult for me. I honestly have no idea what I’d say my ten favorite movies are. Thanks for commenting. Making them is fun, but really difficult. I’m never confident on my choices and constantly change my mind. Thanks for commenting. I don’t have much of an issue with creating one at the end of the year. Creating an all time favorite one? I wouldn’t be able to do it. I can tell you my favorite three movies, but I wouldn’t know which ones to name after that. I have opened a document which will have eventually have to be my top 100 favorite films, but making it is a lot harder than I initially thought. Don’t know if I’ll eventually make it. I’ve constantly tried making a top 100 list, but it’s always hard to make, mostly because I feel bad about the films I’ve excluded. Even making my 10 best of 2012 was pretty hard for me. Thanks for commenting. Top 10’s need to be categorized by genre I think. It’s too hard to ranking something like Pulp Fiction vs. a classic like Jaws. There are so many good movies out there it’s sad when you have to leave one out, or leave one out because you haven’t seen it. Good point about genres. I always have difficulty ranking films from contrasting genres and whenever I leave out a great film on my list I feel guilty about it. Thanks for commenting. I find it so difficult to do. I’m so indecisive that I end up changing my mind all the time. I also change my opinion of films over time, so it’s only ever really a top 10 of that particular moment I’m writing it. Making a top 10 is really hard, and I change my mind so often. I’m confident on a few choices but unsure on others. Thanks for commenting. I haven’t heard of Flixchart before, I’ll try to check that out soon. I think maybe if I name 20 or so of my favorite films I’d be able to narrow it down to the top 10. Thanks for commenting. Yeah, that’s what I like about your Desert Island section, it’s easier to pick films you’d re-watch a lot over favorites. Thanks for commenting. I love making lists. I don’t bother changing mine right after I post them, but I might go back months later and tweak it. I posted a revised top 10 for 2011 sometime near the end of 2012, and it looked quite a bit different. I do love making lists as well, but it’s always difficult for me picking favorites. I change my mind so often about films. Thanks for commenting. 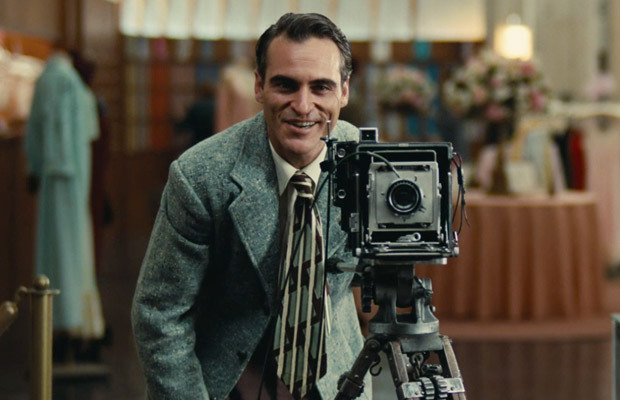 I full recognize that “The Master” is filled with great performances and a beautiful look. But it isn’t near as layered as many think and it lacks the polish of PTA’s lady film. So I say bump that sucker back down! Yeah, top 10 lists are always a great way to reflect over the past year. Sorry you didn’t love The Master, I was a big fan of that. Thanks for commenting. I think a lot of the time a top 10 list can very much depend on your mood as your writing it. I’ve done quite a few Top 10 lists on my site and some I look back at and think I would change that. Never done one for my all time top 10 films as think it would vary on different days. Good point about moods. When I was writing my review for Zero Dark Thirty, I immediately felt like I should have placed it higher on my list. Making a top 10 of all time is really difficult. I’m really only confident on my top four. Thanks for commenting. I can never pick just ten of anything so I avoid them, lol. It’s always difficult for me to pick as well. Thanks for commenting. I much prefer just listing off a bunch of movies that I like. Top 10 lists feel pretty arbitrary, at least when I try to make them. Film Hipster is onto something with the genre lists. That makes a lot more sense than trying to decide if Ghostbusters is better than Requiem for a Dream. That makes much sense. Sorting out movies is easier than trying to pick my ten favorites. Thanks for commenintg. I think Top 10 lists are fun. I carefully rank and then stick to what I’ve chosen for a given year. Going back and constantly tweaking seems very “George Lucas vs. the original Star Wars films“. Generally your first instinct is best. If it’s too difficult, you could follow Roger Ebert and just listen them in alphabetical order. That’s a good idea. I think next time I make one, I’ll do one in alphabetical order. Thanks for commenting. I feel that’s what I’ll do next time. It’s easier just to trim a list of films rather than pick my favorites off the top of my head. Thanks for commenting. I couldn’t publish my top 10 list of all time. My main reason – the one I would have made ten years ago would be quite different to the one I would write today. In all likelihood, in ten years time my favourite films will have changed again. It’s always difficult for me to make my own lists, but I think I’d have an easy time if I just looked at certain genres. Out of curiosity, what is your favorite film? Thanks for commenting.